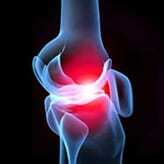 Transforaminal Epidural Steroid Injections For Low Back And Leg Pain - Piedmont Physical Medicine & Rehabilitation, P.A. Transforaminal epidural steroid injections are a popular, minimally invasive, non-operative treatment option for back and leg pain. They are used to relieve pain arising from irritated nerves in the lumbar spine. 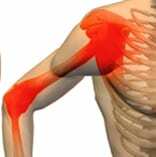 Causes of this irritation include things such as herniated discs, degenerating discs, and arthritic spinal joints. All of these may contribute to make the nerve’s less comfortable, making you less comfortable. You may recognize it as low back pain with sharp pain radiating into one or both legs. A physician trained in interventional spine and pain techniques will evaluate a patient by a thorough history and physical, imaging, and sometimes electro diagnostic studies. Once the patient is deemed appropriate for the procedure, an in-depth explanation of the risks and benefits should be done. The procedure can then be performed. There is often some confusion as to the different types of epidural injections. The two methods used by interventionalists are “interlaminar” and “transforaminal”. What distinguishes an interlaminar from a transforaminal is the approach to the spinal column. The interlaminar method seeks access to the epidural space by a central approach in the opening between the bones of adjoining spinal segments. The transforaminal method gains access to the epidural space by a lateral approach through a small opening called a neuroforamen. This is where the nerves from our spine begin their journey to the rest of the body. This is why leg pain is often found with back pain. The transforaminal approach, therefore, can offer the benefit of greater diagnostic power then the interlaminar approach, as the injection can be directed at a particular nerve root. It can also be more effective than interlaminar epidural injections in managing leg pain stemming from an irritated nerve root in the lower back. Transforaminal epidurals are done under fluoroscopic guidance (live x-ray) to ensure accuracy and enhance safety. Once needle positioning is appropriate and confirmed with contrast dye, the medication, consisting of a small amount of lidocaine and steroid, is injected slowly. The procedure is typically well-tolerated and does not require any significant down time. This is a treatment option that is safe, minimally invasive, and a good non-surgical option for the right patient. It can be repeated if necessary to reintroduce its therapeutic effects; however, like all steroid injections, this must be done judiciously. Patients can usually expect relief within two weeks with a duration of pain relief typically ranging from two to six months. This is yet another tool that we have at our disposal at Piedmont Physical Medicine and Rehabilitation, PA for your treatment. Let us know if you suffer from low back or leg pain. 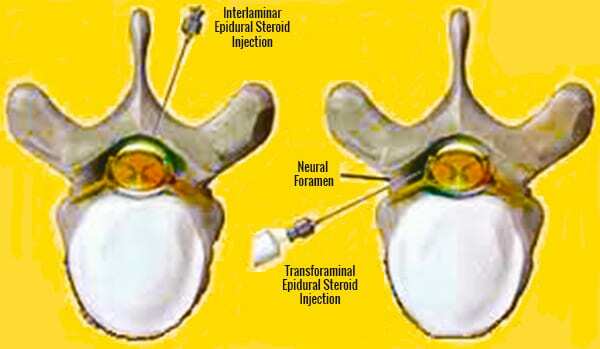 A transforaminal epidural steroid injection may be an excellent option for you.